In order to prevent external intrusions, it is mandatory for the users to secure their door access. Due to the prevalent crimes, users are vulnerable to various threats. Therefore, it is mandatory for the users to develop means which can prevent them from an external encounter. Users can use various control methods like locks, biometrics, CCTV cameras and so on. Are you looking for such access solutions that can ensure security to you? Haven’t found yet? Do not panic. 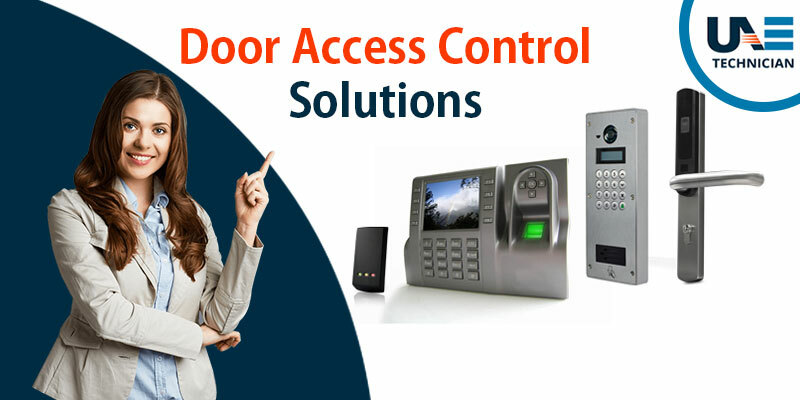 Access control system in Dubai provides you will all-in-one solutions to enhance your security level. Once you reach us, we help you in the best possible way. Hence, if you want any kind of services for controlling your door access, reach us as soon as possible. The above problems are serious and should not be taken lightly. If you are unable to get security due to glitches on your device, it is mandatory for you to take the help of our expert’s help. If you want services for door locks in Dubai, contacting us is mandatory. Access control involves restricting any kind of unwanted entrance to a property, building or a room. There are several means to restrict the various disturbances. Access control can be gained through lock and keys, biometrics, mantraps and so on. Once you let us know about the problems you are facing, it is easy for us to provide you with necessary solutions for increasing your security. We diagnose the devices that are providing you with security, and if we detect any kind of problem, we mend it as soon as possible. Our team has complete knowledge about the security fundamentals, and hence they can attend to your queries appropriately. No other service provider offers you with affordable services for access control system like the way we do. Hence, do not delay in contacting us as it can worsen your situation. When it comes to providing security, contacting our UAE Technician is your best decision. Interact with us through phone calls and text messages. In case you are getting a busy tone on our customer service number, drop a mail. We offer you with 100% satisfaction by providing you with appropriate solutions for door access. We advise you not to compromise with your security. Hence, contacting our executives for door access control services is mandatory. We are available to you 24*7. Additionally, we accept feedback from our customers which help us in understanding your needs as well as improving our work standards. Trust us and stay in touch. We also provide Polycom video conferencing system in Dubai.